We are planning an event to highlight the amazing work of the outreach teams. 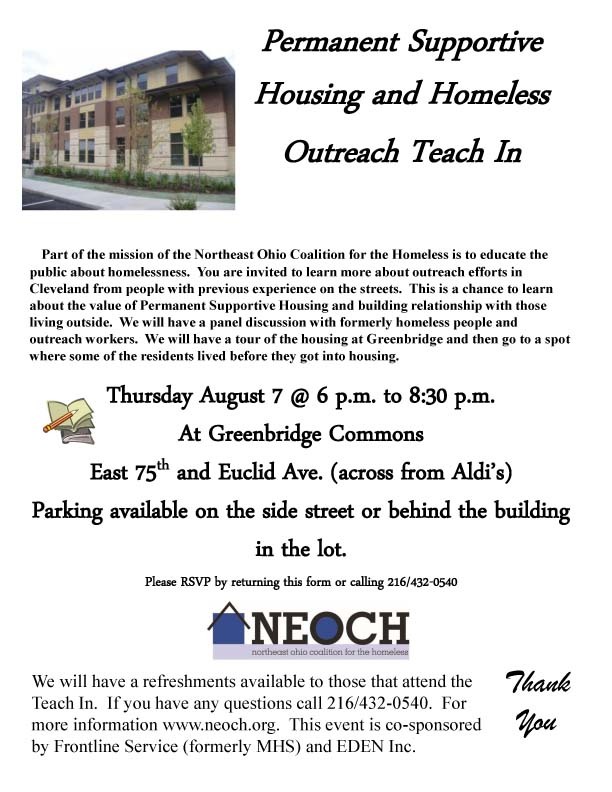 We want to show off the amazing Permanent Supportive Housing Programs in Cleveland and the impact they have on people's lives. We will hear from a couple of residents and then have the ability to go see where these guys came from by visiting their former campsites. We would welcome that you join us. We just ask that you RSVP to attend. Tags PSH, outreach, sleeping outside.